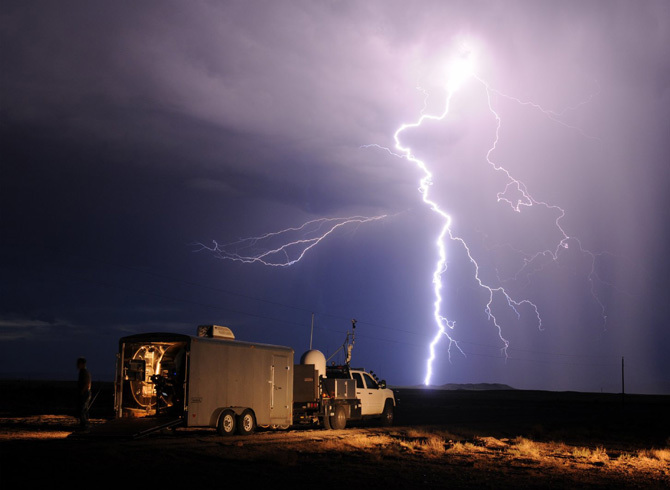 A cloud-to-ground lightning strike severs the sky near Los Lunas, New México. Tim Samaras and his crew chased the slow-moving storm cell until they ran out of road, and now can only watch as it moves on. Photograph by Carsten Peter, National Geographic.